If you have an iPhone 4 you can now use FaceTime video chat over 3G cell network, breaking you free from your WiFi shackles. There’s a catch though, it’s not free. How My3G works is that it fools your iPhone and FaceTime into thinking you are on a WiFi connection, thus enabling the FaceTime functionality, hi-def YouTube videos, and some other features that are limited to WiFi connected iPhones. Before you get too excited: FaceTime uses about 3MB of data per minute of use over 3G, which will quickly chew up your data plan. The amount of bandwidth used for video chat is thought to be why AT&T doesn’t allow FaceTime over 3G to begin with, so perhaps a better compression methodology is needed before FaceTime is officially allowed over the air. 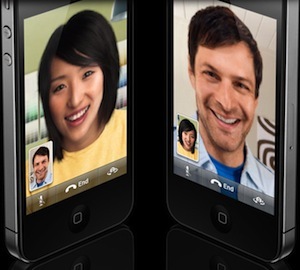 If you didn’t know, FaceTime is what Apple calls the video chat functionality in the iPhone 4, which is used widely in the iPhone commercials. I use FaceTime over 3G all the time, but only because I happen to carry a wifi hotspot device (aka an Android phone) with me for laptop tethering. Works great. Granted not a solution for many. Still, I hate the Rock store and all the silly extensions it adds to the phone underneath mobilesubstrate. If you’re patient, the app called 3G Unrestrictor, which worked great on iPhone 3GS and 3G on tricking apps into thinking they were on WiFi should come out. It’s a couple of bucks as well, but avoids all that Rock crap.